‘Amenity rich’ project already 95 per cent sold out — “Soil has been turned for the new Charlie West condos at the corner of Charles and Gaukel streets in downtown Kitchener. When finished, the building will be 31-storeys high and include about 300 residential units, as well as about 6,000 square feet of retail at the base of the Charles Street side. It’s one of the many highrise condominiums currently under development in Kitchener by the Zehr Group and Momentum Developments, collectively known as the Momentum Partnership. Last spring, Coldwell Banker announced the sale of the half-acre redevelopment site at 24 Gaukel St., which included the Downtown Auto Centre and Kava Bean Bistro. The auto centre has since relocated to Trillium Drive, while the bean bistro also has plans to reopen in a different locale. Building Charlie West will take about three years, but it’s already 95 per cent sold. According to Brian Prudham, a partner with Momentum Developments, much of the sales happened back in June of 2017, when the original concept featured 26 storeys, so initial buyers were looking four years out. The 300 units range in price from the low $200,000s for a studio to about $650,000 for a penthouse. Prudham said floors 29 to 31 at Charlie West will feature larger suites with 10-foot ceilings, as well as design and finish upgrades personally selected by popular Canadian home renovator Scott McGillivray. The development is similar to other condos being built in the downtown when it comes to variety and pricing, but Charlie West is more “amenity rich,” said Prudham. Some of those amenities will include a pet run with washing stations on the sixth floor, fitness/yoga rooms, a social lounge with a catering kitchen and a landscaped fifth-floor terrace. The area has seen a lot of development activity recently, including Thalmic Labs’ new office building renovation, previously the Schreiter’s Furniture building, a press release notes. 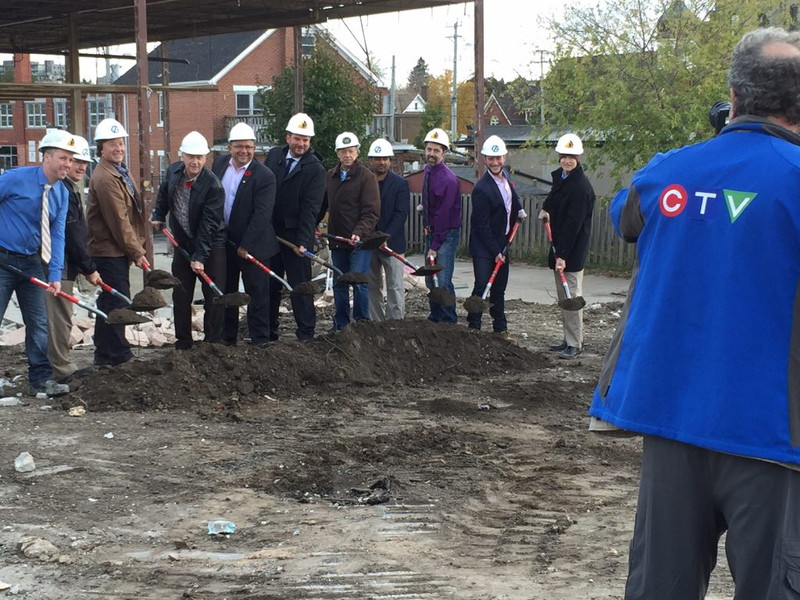 Construction on Charlie West follows the successful launch of Momentum Partnership’s newest downtown Kitchener condominium, the Garment Street Condos. In addition, Garment Street will feature two towers at the One Hundred development and the new GloveBox office building.